The beach is about sand, surf, and beachballs. It's the wide stretches of sand where sunbathers and castle-building kids come to meet. 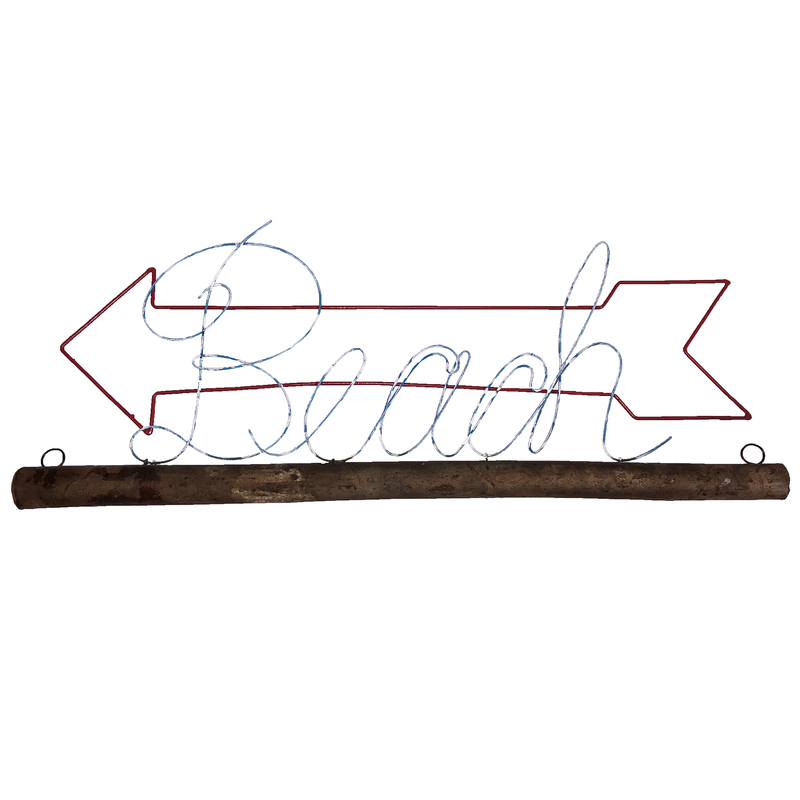 Though the sign holds only a single word, the message is undeniable; head this way for beach time fun! 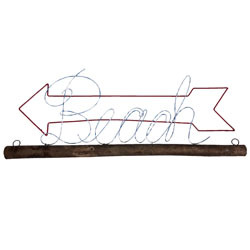 The arrow is metal wire painted in red, with a distressed finish. The script is crafted using metal wire, which is painted white, also in a distressed fashion. The wooden base is created using scrap wood shaped into a small log.